This line of skin care is made in Spain, near Barcelona, in the extensive premises of Farmedco Internacional, an impressive modern facility manufacturing parapharmaceuticals since 1987. Aloe Vera, Q10 and hyaluronic acid are present in their skin care but I was disappointed with their rather sketchy list of ingredients. 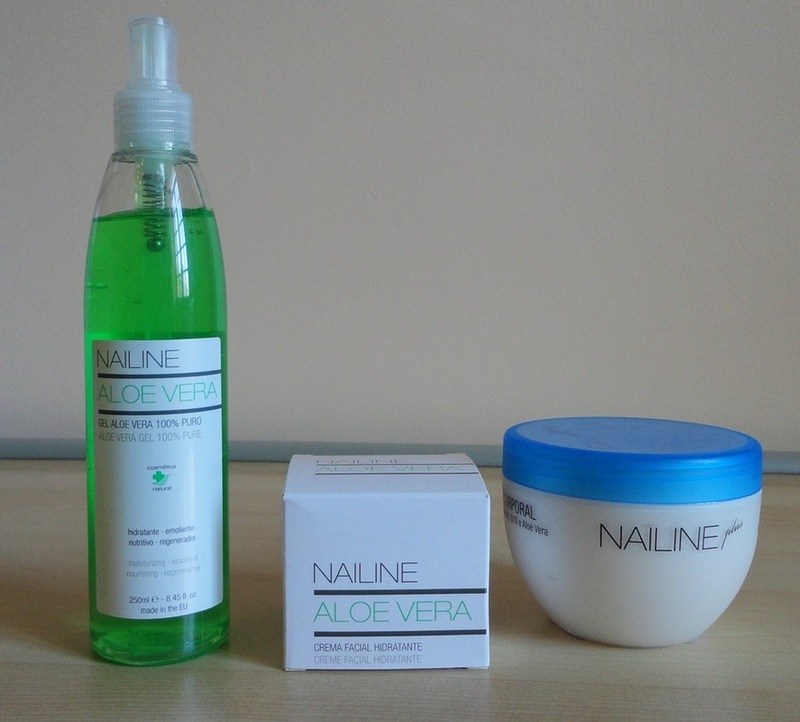 These three products performed well in our testing, but did not get top marks from me because of the presence of synthetic ingredients and because I did not care for the strong perfume of the face cream. I do have a very acute sense of smell, so this may just be a personal quirk, but my preference for mostly natural products is now firmly established and colours my judgement. These are still good products, and especially low in price, so if you are using big-name skin care, you will be surprised at the quality/price ratio. 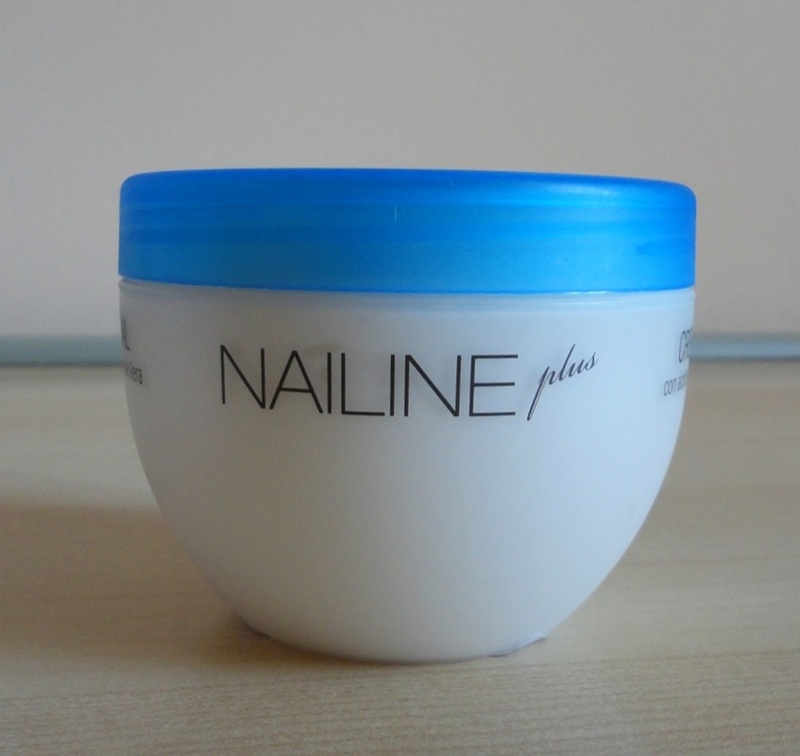 The see-through glass jar contains 50 ml of product, which makes this a very affordable face cream at the current price of around £8. 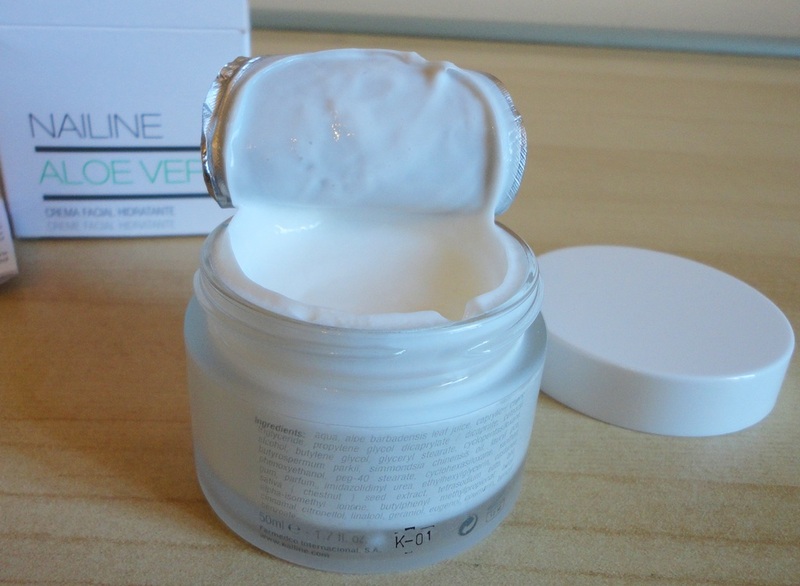 The white cream has a very silky texture and includes some of my favourite skin care ingredients, such as Aloe Vera, Jojoba Oil, Sweet Chestnut and Shea Butter. However, although the cream is said to be free from parabens, the ingredients listed include quite a lot of synthetic compounds, preservatives, emulsifiers and artificial fragrances which, although commonly used in cosmetic preparations, are potential irritants and allergens. After decades of thoughtlessly smearing my face with whatever big-name cream was the latest fad, I have become more selective as my skin has become more fragile and prone to allergies. I now prefer to use natural ingredients as much as possible. 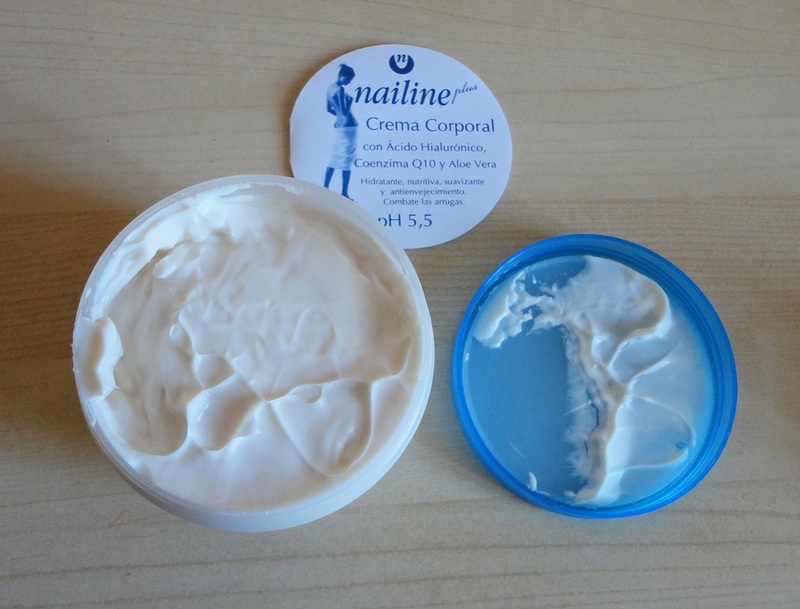 During my month-long test, the cream has not caused any allergic reactions to me or my husband, it sinks in the skin easily, feels refreshing and does not leave an oily residue. I have used it twice a day over a serum and under whatever night cream I favour at the moment, and there is still some left in the pot. My skin seems to like it, but I must admit that I dislike its very strong perfume, hence the four stars. My husband has been using this more than me, and he really likes it. He says it's great as an after-shave cooling gel but, even more, he has found it excellent to treat an allergic condition on the skin of his chest that has caused him some discomfort. Calendula cream did some good but this gel has really helped soothe and hydrate the skin without leaving a greasy residue. I use it on my legs after epilating (I don't shave my legs any more) and it has been brilliant to calm the irritation of scratches from rose thorns and, occasionally, my silly cats. We both love the fresh, lemony scent and sleek texture. The tall plastic bottle contains a generous 250 ml, accessible easily and hygienically by means of a pump dispenser. At the current price of £9, this is really good value for money. The one area I find problematic is the description. 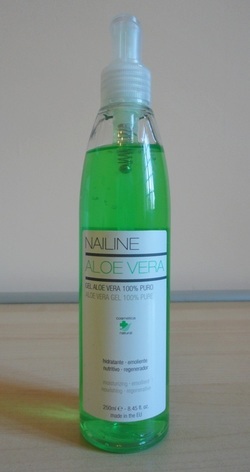 On the bottle it says, Gel Aloe Vera 100% pure. This would suggest that the contents are nothing but Aloe Vera, but the full list of ingredients includes many paraben alternatives, emulsifiers and preservatives that are not all that natural. The key factor, of course, is concentration levels. 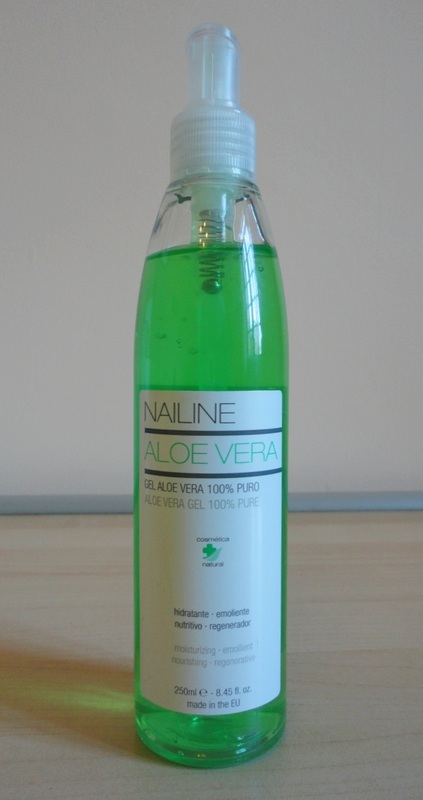 Similar products declare concentrations of Aloe Vera between 1% and 99%, so the potential range is vast. Judging from our good experience, I feel sure that this formula is well balanced but I would like to see the percentage of the active ingredient Aloe Vera clearly stated. My first thought on opening the package was, wow this is one big tub of cream! So top marks for value for money. At the current price of £9 you get a staggering 300 ml of dense, silky, skin-replenishing body cream, thick enough to qualify as a body butter. You can slather this on with wild abandon and enjoy the benefits. I like to use it on my legs, arms, elbows and knees especially, and even on my hands and neck. It only needs a short massage to disappear completely, leaving behind smoother, fresher skin. Looking at the ingredients, I see Aloe Vera, Hyaluronic Acid and Q10 featured, and other natural emollients such as Macadamia Seed oil, Camellia Sinensis Leaf Extract (the tea plant) and Musk Rose Seed Oil. The quantities are not stated but that is normal for skin care. I like the absence of parabens. On the other hand, I'm not crazy about the artificial ingredients listed, although they are commonly found in cosmetic preparations. Since my skin has become fragile and prone to allergies, I now prefer to use natural ingredients as much as possible. In use this body cream is lovely and suitable for application after a shower, after sunbathing or any time you wish to pamper your skin. It has a rather strong perfume that may not be to everyone's taste, but it does dissipate quite quickly. After switching to this over a month ago, I have barely made a dent in the contents, although I don't use it every single day. An inexpensive but useful staple especially if your skin is dry and needs frequent hydration.